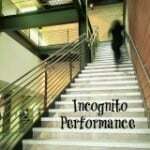 Performance Incognito Style - Brilliant Breakthroughs, Inc.
How do you know if you’re being tricked? Do you notice the success of incremental accomplishments? Are you knowingly making progress of performance? 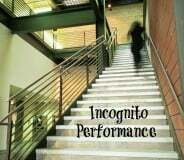 Performance can be a trickster! Yes, it tricks us at times regardless of who we are or what we do. It doesn’t even discriminate whether you are “successful” or the rising star. Performance, may be elusive. It may trick you into a false understanding of successfulness. Are you under a false illusion of what your actual performance is today? Throughout my years in sales and management I was amazed at how patterns emerged surrounding if one is being successful or not. Yes, success is relative! Usually performance is measure after the impact (of a goal or objective) has occurred. When you accomplish making a goal, even in the moment of it being recorded, the success of it already lives in the past! This is why sales professionals are always looking where their new or next sale is coming from before they have “closed” their current sale. Many people see this as greed. 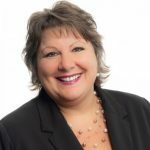 It is sales professionals’ job to keep closing sales… that’s their performance measurement. Further, they understand their performance truly rest in their last sale. Thus, more frequent sales are better for a sales professional. Incremental accomplishments foster massive performance improvements! What’s the reality that you could sustain continuously improving your performance at high levels? I should add, “without burning out”? It’s impractical to expect anyone to sustain such momentum. But what if you could improved your performance incrementally? What if you improved your performance by 8% or even 5%? Great things would happen wouldn’t they? That success might come at the sacrifice of people and things that are very important to you… so is it worth it? Nope; thus, it isn’t sustainable! Pretend for a moment that you are a wise CEO of a business. Would you rather have steady and incremental change of 12% over a year and 24% in two years or would you try to create 24% within a few months or even a year? Which approach will have your employees, and yourself, jumping about or jumping ship? At times, we may not be aware of the progress we are making. Why? Somewhere between the past (production of what made your performance rock) and the potential of your performance in the future is the truth of how effective your productivity is. Often business leaders say, “I didn’t realize how close we were to our goal”. Or conversely they say, “I didn’t realize just how much more work we had to do to accomplish our goal”. These statements tend to be from inexperienced business leaders or those who aren’t aware. Don’t worry if this is you right now – it can change with some awareness and diligent monitoring of productivity. TIP: “Right action”, or right production, will produce the results you are seeking. Make sure you are measuring what will deliver your desired results! NOTE: Chances are you are progressing. The question is: Is your progression the correct productivity? Specifically, is it going to bring your goals to a state of accomplishment?